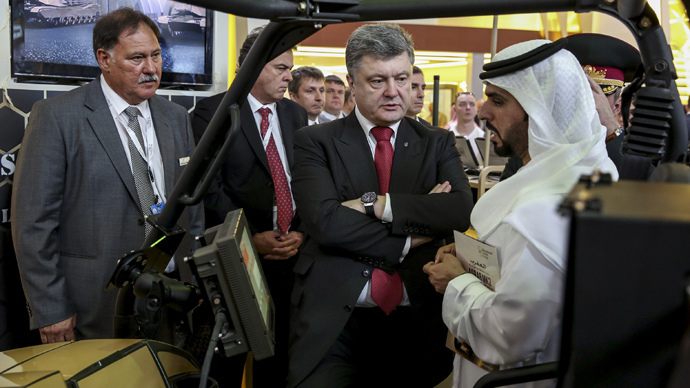 The UAE and Ukraine signed a memorandum of understanding on military-technical cooperation during the IDEX-2015 defense exhibition in Abu Dhabi earlier this week. After the signing, an advisor to Ukrainian Interior Minister Arsen Avakov, Anton Gerashchenko, wrote on social networks that this cooperation would include “the supply of certain types of arms and military equipment to Ukraine” by the UAE. “The types and volumes of supplies, as you can imagine, are not for disclosure on Facebook,” Gerashchenko said. Ukrainian President Petro Poroshenko has claimed that Kiev signed about 20 contracts on arms supplies at the recent International Defense Exhibition fair, IDEX-2015. “Deals to supply of defensive weapons to Ukraine have been signed with European, American and Middle Eastern companies,” Poroshenko said. 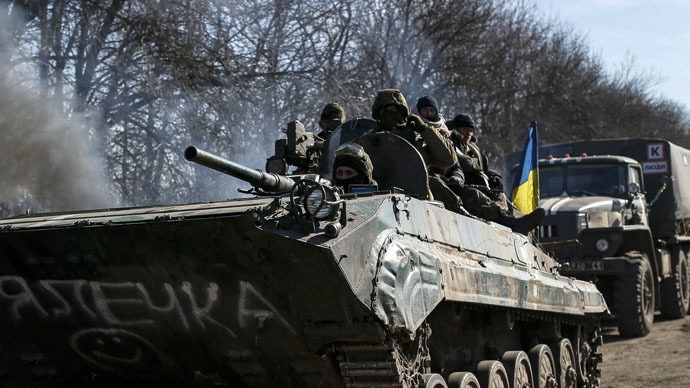 Kiev has signed new military contracts, despite the a military conflict in Eastern Ukraine with withdrawal of heavy weaponry currently being under way there in accordance with the Minsk-2 peace deal from February 11. Earlier this month, US President Barack Obama also said that his administration is considering arming Ukrainian troops fighting against the rebels in Donetsk and Lugansk Regions. 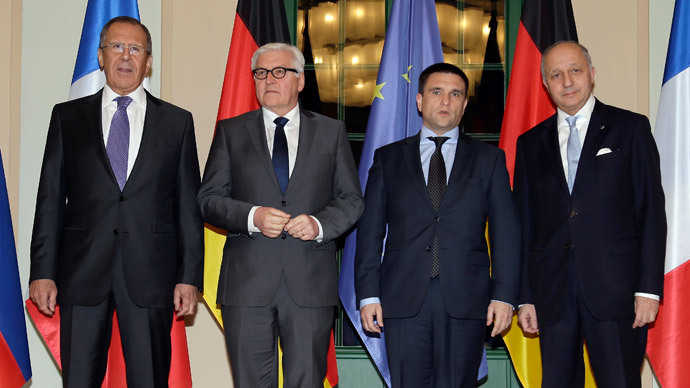 The Ukrainian military conflict began in April 2014, after Kiev sent its military to southeastern regions of the country that refused to recognize the new coup-imposed authorities in the capital. Nearly a year of fighting has led to least 5,793 killed and another 14,595 people wounded, according to UN estimates.